Today I got to talk with Jennifer Pilcher founder of MilitaryOneClick.com. 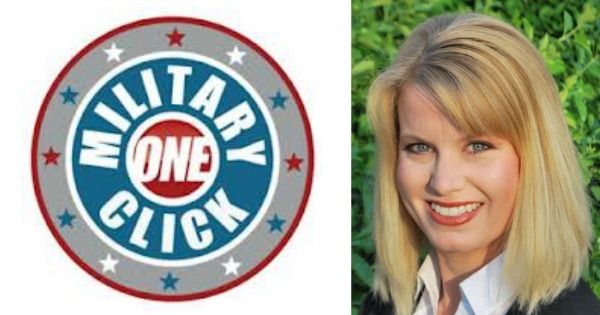 Military One Click is one of the nation’s foremost experts on military families, is a premier online resource for active duty military, reservists, veterans, and their families. This is one you will not want to miss, one thing we discussed was if its harder being a military spouse or married to an entrepreneur, and how we cant let our fears hold us back from taking action. Jen shares a story with us about meeting an expecting fan of her site at a networking event and how networking and mentors have helped her along her journey. We had a chance to also talk some about the upcoming USAA Social Exchange 2014 in San Antonio Texas this upcoming Veterans Day week. Click Here to Thank Jennifer on Twitter ! When one door closes many more will open Be Ready ! Is being an Entrepreneur the perfect job for you ?